"Juno Captures the 'Roar' of Jupiter: NASA's Juno spacecraft has crossed the boundary of Jupiter's immense magnetic field. Juno's Waves instrument recorded the encounter with the bow shock over the course of about two hours on June 24, 2016. Saturn's Radio Emissions: Saturn is a source of intense radio emissions, which were monitored by the Cassini spacecraft. The radio waves are closely related to the auroras near the poles of the planet. These auroras are similar to Earth's northern and southern lights. More of Saturn's eerie-sounding radio emissions. Sounds of Jupiter: Scientists sometimes translate radio signals into sound to better understand the signals. This approach is called "data sonification". On June 27, 1996, the Galileo spacecraft made the first flyby of Jupiter's largest moon, Ganymede, and this audio track represents data from Galileo's Plasma Wave Experiment instrument. Sounds of a Comet Encounter: During its Feb. 14, 2011, flyby of comet Tempel 1, an instrument on the protective shield on NASA's Stardust spacecraft was pelted by dust particles and small rocks, as can be heard in this audio track." This is representation of seizure. Amplitude: is essentially how "tall" the waves are. In the song, when brain wave amplitude increases, more singers are added and the instruments become louder. Frequency: is how many waves are observed over a given time. When the brain wave frequency increases, the string instruments raise their pitch. Synchrony: is the simultaneous appearance of rhythmic or distinct wave patterns over different regions of the head over a given time. 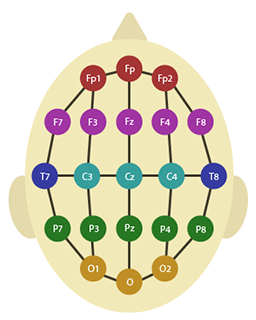 When the amplitudes and frequencies are synchronous across the whole brain, percussion instruments are introduced. And that pieces like CZ? NB: It's infrasound pitch-shifted so it's audible. Great idea for a thread - well done for starting it! I thought this idea was amusing when I first heard of it as a student. Back then the lecturer played a couple of bits of audio- one was for a simple molecule- I think it may have been alcohol- which sounded tuneful and the corresponding sound for cholesterol which sounded like someone kicking a tin can. I am back with another scimusic. This is representation of climate change. There is hearing of temperatures, levels, natural disasters, and more. Sadly, I couldn't find any info on which is which. Well, thank you for trying to spam us. Have a complimentary ban on us. By the way, your website link has been changed to ours. David L Chandler (State of the Universe. New Scientist Supplement. 09.10.2004) repored on the work of Mark Whittle of the University of Virginia in Charlottesville. He says: “The Universe began not with a bang but with a low moan, building into a roar that gave way to a deafening hiss.” Whittle, had reconstructed the pattern of the sound waves that would have accompanied the birth of the Universe. He did this by studying the high resolution mapping of the cosmic microwave background radiation. Chandler says: “Translating the observed frequency spectrum directly to sound yields tones far too low for ears to hear – some 50 octaves below middle A – but transpose the score up all those octaves and you can listen to it. Whittle has also used the best available cosmological models to map the way the vibrations evolved over time, showing how the chords of the big bang changed over the Universe’s first million years or so.” He says: “For perhaps its first million years, the Universe was small and dense enough that sound waves could indeed travel through it – so efficiently, in fact that they moved at about half the speed of light.” “Contrary to its name, the big bang began in absolute silence. But the sound soon built up into a roar whose broad-peaked notes corresponded, in musical terms, to a ‘majestic’ major third chord, evolving slowly into a ‘sadder’ minor third”. I don’t have a recording of this, but If you still have an analogue radio, tune it along the short wave frequency. Some of the hiss you will hear between the stations is the sound accompanying the CMB, the remnant of the Big Bang. I'm trying to find a recording of "whistlers" - audiofrequency electromagnetic waves resulting from lightning disturbances travelling along the earth's magnetic lines of force. Wikipedia has a nice spectrogram but I can't locate an audio clip. Can anyone help? I'm trying to find a recording of "whistlers"
Wonderful, thanks BC! Brought back memories of 1964, sitting in a lecture theatre at the Cavendish Lab! Colin: I haven't got the NASA recordings to open yet, but will keep trying. Fibroblast is a type of cell that synthesizes extracellular matrix and collagen, which form the basic framework structure of biological connective tissue in animals and play an important role in tissue repair. As well as being present as fibroblasts, these cells exist in an alternative state, as fibrocytes. Fibroblast is the term used to describe these cells when they are in an activated state. Fibrocyte refers to a state in which cells are less active. The morphology of fibroblasts depends on their function and site of action. Fibroblasts extracted from a particular location can "remember" their original location and function when transplanted to another location in the body. Please phrase your title as a question and ask a science question in the main text. If you don’t do this in the next 24hrs your post will be removed. Also, what relevance does it have to this section?? Page created in 0.462 seconds with 83 queries.